Voting for the 2017 Hugo Awards is now closed. I have reviewed all the short fiction and talked about all the novels at some point on this blog, but I think it’s time to have a talk about all six nominees in the same place. And we’re going to look at these novels in what I consider a perfectly logical way. By seeing what the six nominees would be like, it they were Pokémon. I think I’ve made it clear by now that I love Pokémon. Not only do the Pokémon games provide an enjoyable RPG experience , but the ability to battle other humans leads to a rich, complicated strategy game. For those unfamiliar with how Pokémon work, let me give a quick description. Battles are between two Pokémon Trainers, who both have a team of six Pokémon, and the teams fight a turn-based battle with one Pokémon from each team in play at a time. Each of the six Pokémon has hitpoints (HP), which when depleted will cause the Pokémon to faint from exhaustion and be unable to fight. Each Pokémon can learn up to four ‘attacks’ that they can use to wear down their opponent’s HP. I put the word attacks in quotation marks because not all techniques are simple attacks. Some of these techniques allow a Pokémon to heal itself, or make itself more powerful, or cripple the opponent by putting them to sleep or poisoning them. Even the weather and terrain can be altered. And even if you did just want to go all out attacking, you would still need to take into account types. There are 18 elemental types in this game. Each attack is assigned one of these types, and each Pokémon can have up to two types. These types have a rock-paper-scissors-like relationship of strengths and weaknesses against each other. For example, if you attacked a fire type Pokémon with a water type attack, it would do a lot more damage than a grass type attack of equal power. There are 802 Pokémon. Those 802 different creatures represent not just a huge variety in type combinations, but also in stat variation. Some species have more hit points than others, some are more powerful and so do more damage. Then we go back to those techniques; there are 719 of them in total. A Pokémon team is composed of 6 Pokémon. 6 out of 802. And each of those 6 can only learn 4 moves between them. As you can imagine, this makes choosing your team hard. You have to choose six Pokémon that’ll be able to stand up to any team imaginable. Building a Pokémon team involves thinking long and hard about how your Pokémon will complement each other. Building a team that works well together takes a lot of planning. Or, you can make a theme team. Don’t worry about synergy. Just choose Pokémon that resemble six house motifs from Game of Thrones. Or six Pokémon that look like cats. It’s fun coming up with such teams, and since they’re likely to not be a balanced team, battling with them can provide an extra challenge. Since there are six novels nominated for this year’s Hugo Award, I decided to make a 2017 Hugo Award for Best Novel team. Or, just Team Hugo 2017 for short. So, let’s talk about the nominees, and what Pokémon each book would be. Choosing one Pokémon to represent All the Birds in the Sky was hard. The biggest challenge was that this story combines both fantasy and science fiction storylines together. It’s a story with witches and AIs and two-second time machines and talking birds. With two very different genres interacting with each other, how could I choose one Pokémon to represent both? I could have chosen Mismagius, to represent a witch, or Metagross, as a supercomputer, but choosing one of them would be ignoring half the book and half its world. For a while, my pick for this book was Dodrio, a three-headed bird. This was to represent the Parliament of Birds that we meet early in the book, and also a reference to the title. But then I thought about it more, and decided that the tree the birds meet in is probably a better representation of the story as a whole. The two main characters both ponder a tree related riddle throughout the story, and that tree itself is more special than even the birds realise. I’m afraid I may be edging towards spoiler territory here, but I’ll just say that the tree is where the fantasy and science fiction elements of this story both come together. Can’t explain how, you’ll have to read the book to find that out. There are many tree Pokémon I could have chosen. I decided on Trevenant because it shares a few features with the Parliamentary Tree. Trevenant is known to be very protective of the creatures that nest in it, likewise, the parliament tree hosts birds of all types. Trevenant’s pre-evolution Phantump is said to have been created by the spirits of lost children possessing tree-stumps. This morbid origin shows a union of the natural world with the human world. Likewise in All the Birds in the Sky, we see a union between the natural (magical) and human (technological) worlds, that involves the parliament tree. Okay, I know what you’re thinking. A Closed and Common Orbit; a space opera that explores an AI’s attempt to live in organic society and a slave girl’s efforts to repair a spaceship and escape her planet, represented by a washing machine? I swear, I’m not crazy. I had trouble picking one Pokémon for this book because there were two stories here. There is Sidra’s story, about a ship’s AI reluctantly possessing a fake Human body and passing in a galactic society that forbids giving AIs such bodies. Then there is Pepper/Jane’s story, about a young girl genetically engineered to slave away in a junkyard, who escapes and then gets raised by a spaceship’s AI. Jane and the AI spend years repairing the ship, so that they can finally leave the planet and be free. I was thinking about using Porygon-Z for this one, since it is a digitally created Pokémon intended for space travel. However, it felt like I was leaving out Pepper’s story, and using the ‘Virtual Pokémon’ seemed to be hinting at a more cyberpunk story. Although, in hindsight, Porygon-Z’s glitchy nature could work well with the fact that Sidra and Pepper both go against what they were ‘programmed’ to do. Hmm… the more I think of it, the more I question my decision. 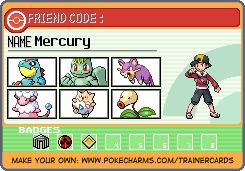 But oh well, the Dubious Discs needed to get a Porygon-Z are hard to come by, and my team did need a water type. So, why Rotom? Well, Rotom isn’t really a washing machine. Rotom is a small electric/ghost Pokémon that possesses the motors of appliances and controls them. You could say Rotom is a ghost in the machine. Rotom isn’t the appliance it inhabits, like how Sidra isn’t the Human bodykit she inhabits. Sidra’s disconnect with her artificial body is the driving force for a lot of what she does. Meanwhile, Rotom is an expert at manipulating machines, Just like Pepper. Pepper not only makes a living repairing machines, but it was this expertise that allowed her to repair the spaceship and escape from the junkyard. A junkyard that was probably full of discarded fridges, mowers, fans, ovens and washing machines. Yes my logic may be a bit farfetched here, but I still think Rotom is a good addition to the team. Also, Rotom is motor backwards. How did I never see that before? Death’s End was a really hard one. There are so many mind-blowing concepts that this book explores. Mutually Assured Destruction, the effect of sub-light interstellar travel on humans, alien invasion, suspended animation, changing spacial dimensions and the results of fiddling around with universal constants, the terror at knowing how insignificant we are and how hostile the universe is. So many concepts, but not a lot of Pokémon to fit the bill. I considered Absol, the Pokémon that foresees disasters, since a big part of this book is about Humanity knowing a disaster is inevitable. I also thought of Stunfisk, since it is flat and two-dimensional space plays a big role in this book. In the end though, I decided an Ultra Beast would be the best fit. Ultra Beasts aren’t quite Pokémon. They arrived in the Pokémon world through a wormhole, and because they are so alien, pokéballs don’t work on them. They are also quite aggressive at first, since they have been caught in a wormhole and taken from their homes. This aggressive alien invasion parallel, the transition between different dimensions, and the idea that being cut off from your home planet can change a person for the worst represents Death’s End quite well I think. But which Ultra Beast? Kartana obviously. Why obviously? Well, it’s origami. It is a tiny, flat piece of paper with the potential for great destruction. Which probably makes sense to people who have read the book, but if I explain the connection anymore I’m going to spoil the ending. This should be an obvious one. Ninefox Gambit gets a ninefox. There’s no huge leaps of logic or overthought symbolism here. Just, ninefox. Simple. In Ninefox Gambit, we are introduced to the Hexarchate; a controlling, vast interstellar civilisation, controlled by six government factions. Each of the factions is given an animal motif, and the ninefox is the sign of the Shuos, the faction responsible for spying and assassinations. One of the main characters, Shuos Jedao, is a general from this faction. Since most generals in the Hexarchate come from the Kel – the factions that controls the military – him being a ninefox is important. More important though, is that he is probably crazy, and once destroyed his whole army. That has given him the title of the ‘immolation fox’, which is why I chose the fire type original Ninetails, rather than the ice/fairy type Alolan variant. I suppose if I thought about it more, I could have come up with something that represents Jedao’s status as an undead consciousness, or the fact that him and Cheris share a body. I probably wouldn’t have been able to find a Pokémon that represents the horrors of war this book portrays since the game is intended for kids. In the end though, there’s no reason to make such an abstract connection when both Nintendo and Yoon Ha Lee included Kitsune/Kumiho in their worlds. I suppose it’s weird that I didn’t choose a ground type, since the magic system in this world is tied to the Earth and earthquakes. It would have been really nice to get a Pokémon that could use the attack Earthquake. I was considering Lunatone for this role, as it gets Earthquake and the moon is important in this series. Froslas would also be appropriate, since orogene magic works by drawing energy from the orogene’s environment, causing the air around them to go ice cold. Part of the reason they are feared so much is because they can freeze someone solid by using their powers. Froslas would make a good proxy of Essun, the protagonist of the series. Essun is a powerful orogene, who has gone through several upheavels in her life at the hands of anti-orogene authorities and a general population that hates orogenes. But in the end, I went for Carbink because I wanted to represent the titular obelisk gate. The gate is made of hundreds of large obelisks that float above the world, each one being made of a precious stone. Carbink is a precious stone that floats. Given how important the obelisk gate, and individual parts of it, are for Essun and her daughter Nassun, I thought it would be appropriate to choose a Pokémon that can represent it. Ores are also significant because the Fulcrum, an organisation that trains and exploits orogenes, names it’s orogenes after different ores. The Fulcrum may not control Essun anymore, but in this book we see the devastating ways it still affects both her and her daughter. There were a lot of options for this political story. The flying cars play a big role, connecting the entire world together, so Magnazone could represent this book. Or Durant, since the main power blocks on the planet are no longer nations, but groups called Hives. 18th Century Paris and the gender roles and costumes from this period are also important, so Mega Gallade or Mega Gardevoir would also fit if they were obtainable. But the most important thing in the world, according to the characters of this book, is thirteen-year-old Bridger and his miraculous ability to bring toys to life. This book touches on a lot of interesting topics; a post-nationalist future, a lot of theological discussions, whether we can ever achieve peace. Bridger and his power added a layer of magic to this story that made me get into it despite some slow points at the start. Banette is an old discarded toy that has come to life. Bridger finds his toys amongst the rubbish. None of his creations seem to be fuelled by a grudge at being thrown out, but other than that, I think Banette would fit right in with Bridger’s other creations. Of course Ninefox Gambit used Nasty Plot. Everyone uses Nasty Plot in that book. If you have Pokemon Sun and Moon, you can see this team in action over the Vs. Recorder (accessible over the computer in Festival Plaza) by entering the code R95G-WWWW-WWW7-TE4Y. If you would like to battle Team Hugo 2017, feel free to contact me and ask for a battle. My friend code is 1547-5851-7576. All six nominees this year were amazing. Last year, The Fifth Season was my top pick, and I wasn’t surprised to see it win. This year, I honestly don’t know which book will come out on top. 2016 was a great year for Science Fiction and Fantasy, and the six books that got nominated for the Hugo are all very special. The winners will be announced at the Hugo Award Ceremony at Worldcon75 on the 11th August. So far I haven’t been able to find the time the ceremony will take place, but I assume it will be confirmed closer to the date. Last year I watched the ceremony live at ustream (Link), though I noticed Worldcon75 also has an official Youtube channel too. I’ll share more details about how to watch the awards closer to the date. Until then, happy reading and happy gaming.